Big tank would be first on my list. Just Gas Tanks might be a good spot. Also, places like Dual Sport Plus may be able to bring them in too. If you are near the border and have a U.S. shipping address, you're set. Its not uncommon to find shipping/receiving places in border cities too. Pay $5 or $10 per package and off you go. I use that service in Port Huron, MI. well i took a loot at the web site and i found some stuff but i wonder if the Kawasaki KLX 400 gas tanks will fit on the KLX 300?? 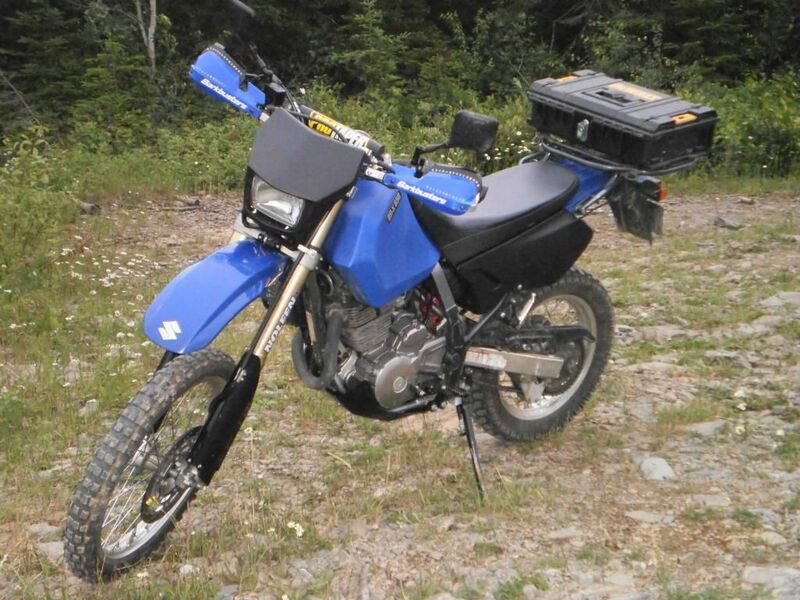 There is no aftermarket tank for the KLX Dakota. Pick up a Rotopax tank with a mount. It is way cheaper and you can use the tank for extra fuel on your sled. Yes Dakota... That is why I posted the link for you. I had a look at JGT's website and I can see KLX300 and 400 listed. They are Acerbis tanks. You could check that website too. They are also listed there. I've ordered from www.canadasmotorcycle.ca/ and aviciouscycle.ca/mainpages/Default.aspx. Quick shipping and cheaper than ordering from the USA when you factor in exchange and shipping. Edit, just realized it's an old thread. Sorry for reviving. 03 DR-X650: Mitas E-09 front, E-07 rear; 14 tooth front sprocket; BarkBusters; Procycle case armor; Warp9 skid plate, shifter, and clutch lever; Sargent low seat; Acerbis tank; Renthal CR high bars; RMZ forks, future KX450F rear shock and Buell headlight.